This weekend, 16 squads face off in competitive battle royale in Katowice, Poland. 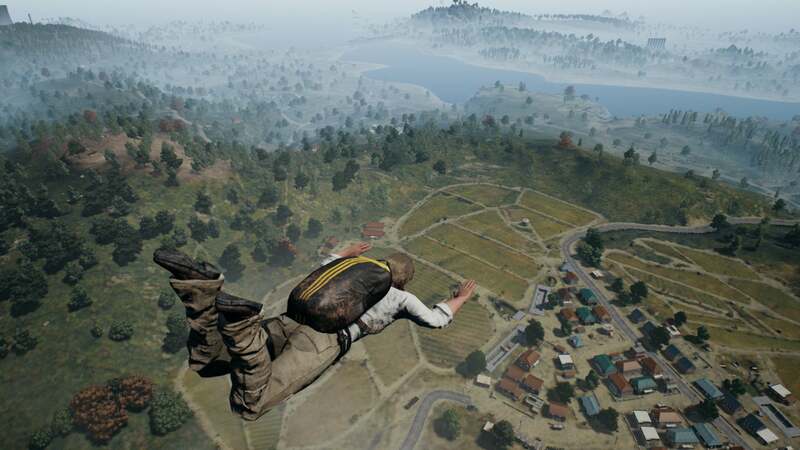 But while their version of PlayerUnknown's Battlegrounds isn't too different from the one you might have at home, there have been some slight modifications. During a lull in the action, the commentators broke down the settings for the PUBG Invitational. Specifically, the circle that encroaches on players throughout the match, forcing them closer and closer together. The circle in competitive Battlegrounds is smaller, at the start. The public, or regular, circle is about 4.2 kilometers in diameter, but in competitive, it's 3.7 kilometers in diameter; about 500 meters between the two. The following circles, however, are bigger than normal, and close in slower than regular circles. One of the commentators notes that this is an intentional change, to allow teams to fight their way into the circle rather than rush or die. "When you play a public game, you're maybe used to, ok, this circle popped away from me and I have to run," said Martin "Avnqr" Gøth. "I have to run now, because I can't move the circle because the circles are so fast." These rules have been tried and tested by many competitive teams, according to Gøth. It's an interesting concept, as it makes a bad circle pop less damaging to teams playing on the perimeter. Still, I want my public game circles to stay big and random. It's always a rush to make a mad dash for the edge, blue closing in behind you. The day's matches in Katowice are done, but you can follow the rest of this weekend's invitational starting tomorrow over on the ESL PUBG Twitch channel. This makes more sense for 3rd person play where people defending a position tend to have an advantage, but in 1st person play, I think this change wouldn't make too much of a difference to how games play out.